Salt cellar is an article of tableware for holding and dispensing salt. 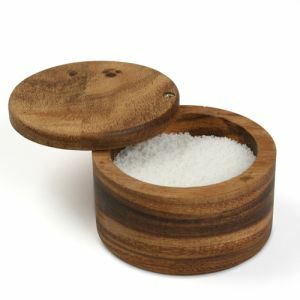 Salt cellars can be either lidded or open, and are found in a wide range of sizes, from large shared vessels to small individual dishes. Styles range from simple to ornate or whimsical, using materials including glass and ceramic, metals, ivory and wood, and plastic.